Decent work has been a State policy for the Government of the Province of Santa Fe since December 2007, which means "promoting productive work for all, in conditions of freedom, equity, security and dignity; where rights are respected, wages are fair, working environments are safe and healthy, and the benefits of social security are guaranteed". Decent work is a cross and permanent construction that drives a fairer, more equitable and more inclusive society. This seeks to strengthen participation, tripartism and social dialogue, as a fundamental basis to achieve the necessary consensus to assert economic and social development in the territory of Santa Fe. It has also taken on the principle of social dialogue and the promotion of specific mechanisms of participation of representatives of workers and employers for the development of public policies in the workplace. Thus, since the definition of the Decent Work Agenda in the Province of Santa Fe (signature of Memorandum of Understanding with ILO in 2008) and the presentation of the Decent Work Agenda (2009), different policies are promoted to provide answers to the five priority objectives in terms of employment, labour and social security, with the participation and commitment of all those involved in the production of goods and services: the State, trade unions and enterprises and their organizations. • To achieve registered and formal labour for both male and female workers. • To achieve healthy and safe conditions to preserve the workers’ life and psychophysical health. • To promote equality of opportunity and treatment in the workplace. • To prevent and eradicate child labour and the worst forms of adolescent labour. • To ensure the universality, integrality, and improvement of the social security coverage for workers in the public sphere. • The promotion of more and better jobs for inclusive growth. • The creation of jobs and development of professional skills for young people. • The promotion of productivity and decent working conditions in SMEs. • The formalization of the informal economy. • The protection of workers against unacceptable labour conditions, including child labour and forced labour. -Universality, integrality, and improvement of the coverage of social security contingencies of industrial accidents, occupational diseases, the elderly, diseases and disability. -Speed, comfort and accessibility to services for citizens. The Health and Safety at Work Committees are joint bodies responsible for supervising compliance with the rules and regulations on control and prevention of occupational risks, with the aim of promoting the protection of the workers’ life and health - whatever mode or term of their contract or employment relationship-, and the improvement of the working conditions. The committees were created at the behest of the Provincial Law Nº12.913. With this regulation, Santa Fe is the only province in the country that put into effect a fundamental tool for participation in the prevention of occupational risks and preservation of workers’ health and life. This law is a new legal framework to involve workers and employers in organic and responsible discussions and the formulation of labour policies aimed at the prevention of occupational accidents and diseases. 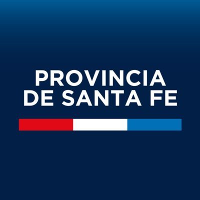 The Employment Observatory of the Province of Santa Fe aims to provide up-to-date information on the labour market, for analysis and decision-making related to employment and labour dynamics. It is a tool that provides information about registered private employment at the provincial, regional, and departmental levels, as well as at the urban hubs (Gran Santa Fe and Gran Rosario) and in each of the towns in the province. In this way, community, municipal and officials of the provincial government, researchers and users in general, can have up-to-date information of short and long term on the magnitude, characteristics and evolution of the labour market. The access to information is public and free. Child Care Centres are aimed at preventing domestic and/or hazardous child labour and the worst forms of adolescent labour in urban and rural areas. They provide comprehensive care for the social protection of children from 0 to 4 years old and children at school with discontinuous school attendance (repetition, over age, repeated absences, and school drop-outs). The opening of Centres allows parents to fulfill their working days with the peace of mind that their young children are in a safe place, with appropriate care that guarantee their correct feeding, hygiene, health, training and early stimulation in accordance with their age. Child Care Centres constitute an effective measure for the application of international conventions in terms of eradication and prevention of child labour and for the fulfillment of national and provincial legislation. In rural areas, these spaces receive workers’ children. The parents develop tasks in agricultural or dairy production and fishing activities. The opening of centres is directly linked to the harvest times. During that period each Centre works on schedules that meet the needs of the targeted families. Centres located in urban areas receive children from families doing casual work in the collection, selection and commercialisation of household waste and from workers at private homes (cleaners, gardeners, etc.). In these cases the centres are open throughout the year. This work is carried out by multidisciplinary teams of teachers, social workers and caregiver mothers. These spaces seek also to disseminate issues and best practices to ensure the fulfillment of the rights of children, measures of social protection for them and their families, and to assess and implement measures of social inclusion and equal opportunities. In 2014, 20 centres throughout the province were opened.